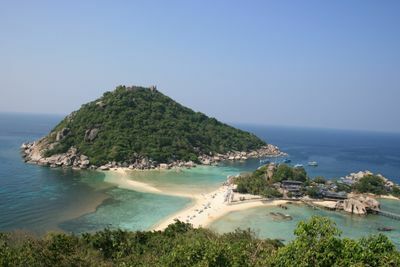 Koh Nang Yuan is one of the best snorkelling points in Thailand for amateurs and experienced divers. It is perfect size for a day trip because it is a short distance off the north-west coast of Koh Tao. I have seen plenty of photos of this place before arriving in Thailand. It is made up of three little islands connected by a massive sandbar, shallow white sand beaches are surrounded by crystal clear turquoise blue waters and the scene is unbelievably stunning. The shallow reefs are surrounded with soft and hard corals and fish of all colors. The island is a part of unspoiled and untouched marine reserve and it presents an unique opportunity to see a lot of tropical species of fauna and flora in their natural habitat. After whole day of snorkelling I walked up to a viewpoint on the top of the island and the enchanting view you get is a vista that graces postcards across the country and could also be the most beautiful view your eyes have ever seen. 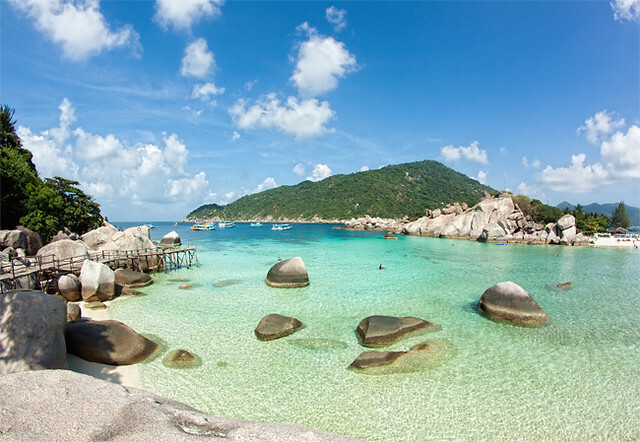 Koh Nang Yuan simply takes your breath away and it is one of the world’s most beautiful islands. This is my own personal paradise and being there felt like being on a distant planet where the real world would never find me. I am going back in January and I am so excited.